TAPPI is working together again with IDCON to bring you a combined set of courses that will help you improve manufacturing reliability and lower costs. New for this year are the addition of four La Planification Et L'ordonnancement (Planning and Scheduling) courses from IDCON and Prosygma. The Hampton Inn and Suites Brier Creek is in walking distance and class attendees may use the following link to book using our corporate rates based on hotel availability. Complimentary hot breakfast buffet includes three hot items. Complimentary high speed internet is available throughout hotel. The following courses are taught in French. Each will be held in Longueuil, Quebec, Canada. The links below connect to the Prosygma French-language training schedule. IDCON helps manufacturing and process industries maximize profits by improving these critical operations. For more than four decades, IDCON’s reliability and maintenance strategies have been applied worldwide for the purpose of increasing production reliability and lowering costs. While traditional maintenance approaches focus almost exclusively on equipment, IDCON applies a philosophy emphasizing results through people. Several IDCON courses have received the status of "Approved Provider" recognized by the Society for Maintenance and Reliability Professionals (SMRP). 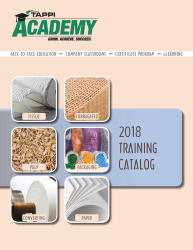 The Approved Provider Education Program recognizes continuing education that align with the most relevant topics and best practices in the industry according to the Maintenance and Reliability Knowledge Committee's Body of Knowledge (BoK) pillars of knowledge.